WASHINGTON (CN) – The Supreme Court appeared sympathetic Monday to a group of iPhone owners who accuse Apple of monopolizing the market for apps on its ubiquitous smartphones. People who own iPhones can only download apps through the Apple App Store, though independent developers create the programs for sale on the marketplace. Apple charges developers a 30 percent commission on each sale, and Apple mandates that app price must end in .99 cents, despite allowing developers to set their own prices. In a December 2011 federal complaint, a class of iPhone owners claimed that this arrangement put Apple in violation of antitrust laws and subjected them to higher prices than they would have paid in a truly competitive marketplace. Apple is appealing to the Supreme Court after the Ninth Circuit found last year that a 1977 decision known as Illinois Brick does not forestall their claims. 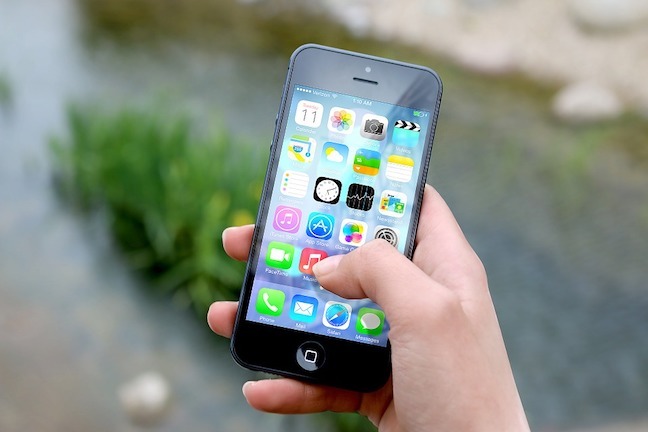 In Illinois Brick, the Supreme Court held only those directly impacted by the effects of an anti-competitive monopoly have standing to sue the alleged monopolist, but the Ninth Circuit said app purchases put consumers into direct contact with Apple. While counsel for Apple and the federal government argued this morning at oral arguments that the case in Illinois Brick was virtually identical to the one raised against Apple, an attorney for the iPhone owners made the case that his clients’ claims could not be more different. Latham Watkins attorney Daniel Wall, who argued for Apple, said it is the developers, not Apple, that set the prices on the App Store. If anyone can sue the company over the allegedly anti-competitive marketplace, it should be them. “The fist purchaser is clearly the app developer, who, by contract, agrees that every time it puts a positive price on an app, it will allow Apple to take 30 percent of it,” Wall said. Wall noted that if Apple used its control over the App Store to demand a higher commission on app sales, customers would only have to pay more if developers also decided to increase their prices. Some of the justices appeared skeptical. Justices Sonia Sotomayor and Stephen Breyer in particular questioned Apple’s claims about who pays the price for the alleged anti-competitive marketplace. Justice Elena Kagan also noted that iPhone owners would not be unreasonable to think they are dealing with Apple and Apple alone when they download an app. David Frederick, an attorney with the firm Kellogg, Hansen, Todd, Figel & Frederick, was adamant that Illinois Brick should not lock the courthouse doors for his client because Apple’s anti-competitive actions reach directly into their pockets. Frederick said because Apple “directed” the policies that led to people paying more than they should have for iPhone apps, the customers should be able to sue the tech company. Frederick appeared to face the most skepticism from Justice Samuel Alito and Chief Justice John Roberts, with Roberts wondering whether the court would be opening Apple up to suits from both developers and customers if it sided with the class in this case. “In other words, to the extent it might be said that Apple is a two-sided market, they’re subject to suit on both sides of the market for a single antitrust price increase that they’re alleged to have imposed,” Roberts said. Justice Neil Gorsuch, meanwhile, took larger aim at both sides of the arguments, asking the attorneys whether the court might want to reconsider its holding in Illinois Brick. He said Apple’s arguments in particular would expand the holding in the case, which 31 states asked the court to overturn in friend of the court briefs.